So you've received the summons notification in the mail. You've been selected for jury duty. A million thoughts go through your head, perhaps frustration mixed with a little bit of excitement. More than anything, you just have no idea how it all works. 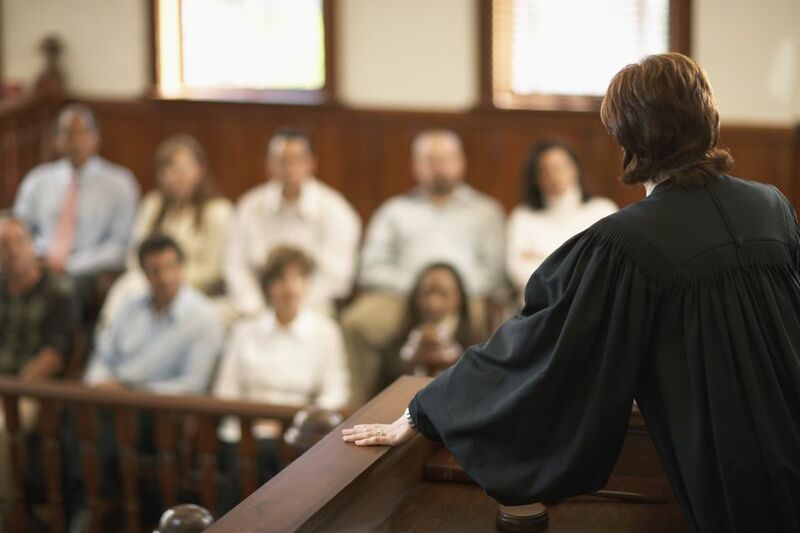 Well, to clear up the confusion and prepare you for the experience, here is a list of frequently asked questions about jury duty in Oklahoma County. Your notification tells you the physical location, the Oklahoma County Courthouse in downtown Oklahoma City. It is located at 320 Robert S. Kerr Avenue between Hudson and Harvey, just east of the OKC Museum of Art. Once inside, you will proceed through the security checkpoint, so be mindful of what you have in your pockets. Take the elevator to the 5th floor, and make your way the jury room in room 513 to check in. There are several options for parking in downtown Oklahoma City. A meter is not going to work due to the time requirements involved so look for a garage or surface lot. The one directly across from the courthouse is certainly convenient, but if you park a few blocks away and walk, you can save some money. The Oklahoma County Court Clerk's office gives a little bit of clarification on its website, noting that "shorts, tank tops or thong sandals are not permitted." Also, it's probably best to avoid hats. Obviously, dress nicely. Remember you may be there for a long time, though, so make sure you're comfortable. Guys don't have to wear ties, for example. Aiming for business casual is just fine, but one could probably get away with wearing some nice jeans as well. Your summons will tell you what time to arrive, probably before 8 a.m. Have your summons with you, as well as ID. Also, there's a good chance you'll be waiting a lot, so bring a book or a magazine to read. For the selection process, you're looking at 2-3 days of 8 a.m. to 5 p.m. If you're chosen for a case, though, it'll be longer, as much as several weeks for criminal trials. It's the old name-in-a-box technique. Yes, while technology has expanded our lives significantly, the courthouse still goes by the tried and true. As jurors are needed by courtroom, a bailiff will emerge and announce a number based on whether the case is civil or criminal. Names are drawn and read aloud. There's then a similar process once inside the courtroom. Some are dismissed after questioning, and the spots are taken by other candidates until a final jury is chosen. If you're not selected, you get the honor of returning to the jury room for some more waiting. If you haven't been chosen after the 2-3 day period, typically you'll receive a release and it's all done.